STS-134 Spacewalkers Drew Feustel and Mike Fincke have marked a historic first – surrounding their EVA-3 consisting of FGB Power Data Grapple Fixture work, Y-Jumper installations, and cable tasks – as they debuted a new campout procedure called the In-Suit Light Exercise (ISLE) EVA Pre-Breathe Protocol. Meanwhile, the Mission Management Team (MMT) decided not to extend the mission by one day. After waking at 6:56pm Central time, Endeavour’s crew returned to a heavy workload after two days which mainly consisting of off duty time, split by the historic Soyuz photography event – which they were scheduled to be sleeping through, though apparently weren’t – inbetween Flight Days 8 and 9. After pre-sleep tasks, the crew helped the spacewalking duo through one of the new operations on the ISS, which tasked STS-134’s crew with one ISS-based spacewalk to be performed without the now-customary overnight campout of the EVA crew in the Quest Airlock. Instead, a “new pre-breathe protocol will be used for the first time on EVA 3,” as previewed in STS-134 Flight Readiness Review (FRR) documentation (L2). 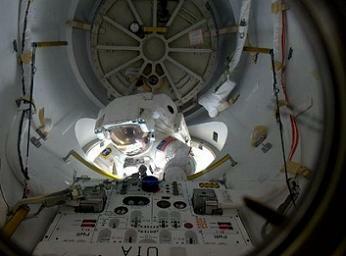 The procedure does not require overnight campout in the Quest Airlock or CEVIS exercise. It is anticipated that this procedure will help conserve oxygen usage aboard the ISS, which will save on vital upmass, which will be notably reduced once the shuttle fleet retire this year. For the actual procedure, the two spacewalkers performed a 60-minute mask pre-breathe with the airlock depressed to 10.2 psi. They then donned their spacesuits (EMUs) and performed standard EMU purge before the airlock was repressurized to ISS ambient levels. 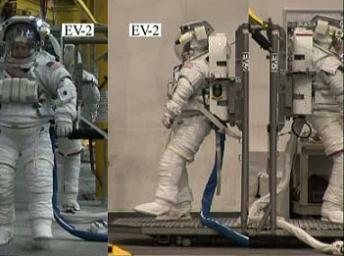 The crew had been trained in the Neutral Buoyancy Lab (NBL) to limit their exertion and minimize cycling on the suits. Feustel and Fincke then kicked off EVA-3 by egressing the Quest Airlock and headed into setup work at the Zarya module in preparation for the additional of a power and data grapple fixture to its exterior. They translated to tools and equipment that were used to remove caps covering the installation location. They then returned to the Quest airlock and bring out the grapple fixture and the interface equipment to which it will attach to, called the PAMA. The size of the hardware required both spacewalkers to carry it together. The EVA also consisted of several photographic exercises. Once they arrive back at Zarya, they installed the PAMA and the attached grapple fixture. Now installed, the duo moved on to connecting numerous cables to set the up the system. The EVA lasted six hours and 54 minutes. Controllers decided against a go ahead task of installing and routing external 1553 cables for FGB PDGF during the spacewalk, which is likely to be conducted during EVA-4. 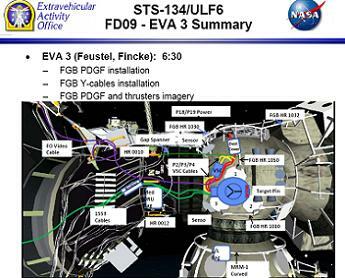 That final EVA is on the schedule for STS-134 is to be conducted on Flight Day 12, which will involve Fincke and Greg Chamitoff will install the Orbiter Boom Sensor System (OBSS) at the Starboard 0/Starboard 1 truss interface, swap out of the OBSS grapple fixtures, retrieval of the Port 6 truss segment power and data grapple fixture, and release of retention systems on the Dextre spare robotic arm. The youngest orbiter in the fleet continues to behave very well on orbit, despite leaving overnight messages of complaint for her crew once they had awoken. The messages – which did not result in any alarms – related to a power supply issue on APU 2’s (Auxiliary Power Unit) Gas Generator, which had become intermittent. By the time controllers on the ground had started to discuss the next course of action, the power supply was seen to have recovered. However, the action to switch the power supply to a second string continues to show nominal results, with monitoring to continue throughout the flight day. 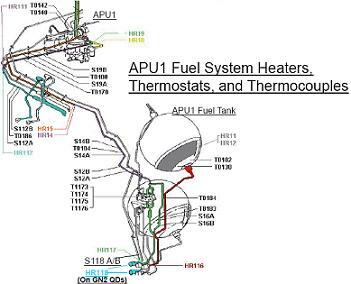 The issue has no relation to the APU heater string issues which caused the launch delay to allow for troubleshooting. Otherwise, Endeavour is performing without any issues which hold the potential for a mission impact, with no engineering issues on her systems being worked. “System Status: Subsystem performance is nominal. The PRSD (Power Reactant Storage and Distributation) O2/H2 manifold 2 isolation valves were cycled closed for crew sleep at 142:15:32 GMT and reopened at 143:02:25 GMT,” noted the latest Mission Evaluation Room (MER) information (L2). Despite a SSPTS (Station-to-Shuttle Power Transfer System) OPCU 1 (Orbiter Power Converter Units) Fault Isolator Trip charged as a “funny” – a classification for a minor issue – by the MER, cryo margins for Endeavour continue to show excellent margin. “CRYO Margins (above 16+0+2 day mission) O2 limited: 1 day 15 hours (non-SSPTS). 3 day 8 hours (SSPTS on),” added the MER report, which in turn played into the ISS requesting a mission extension by one day. “ISS has requested extending the mission one additional day. ISS could save significant Stage time by having the Shuttle stay another day and the SSP is looking at what the impacts would be to consumables and sub-systems,” noted MMT information (L2). However, despite the aforementioned cryo margins and Endeavour’s excellent performance, the crew office noted concerns for STS-134’s crew on what is already a very long mission, given the request wasn’t based on a very strong mission requirement. As a result, Tuesday’s MMT opted against the additional day.